Development Dimensions International, The Conference Board and EY recently released the report Global Leadership Forecast 2018: 25 Research Insights to Fuel Your People Strategy. Data in the report are from more than 25,000 leaders and 2,547 HR professionals across nearly 2,500 organizations. What’s the HR opportunity? Room for improvement. According to report authors, HR isn’t performing to the best of its ability, and business leaders are taking notice. First, the report describes three categories in which HR professionals often fall: reactor, partner or anticipator. A reactor ensures compliance with policies and procedures and implements basic talent-management systems. A partner provides HR solutions, works in tandem with line managers to reach goals and provides information about talent-issue gaps with the business. Finally, the anticipator embraces analytics and data and uses those tools to predict talent needs, implement insights and solutions to ensure “high-quality” talent and ties in talent planning to business planning. HR professionals perform some portion of all three of these categories, but now more than ever they need to work toward becoming anticipators, which hasn’t happened yet. Business leaders were twice as likely as HR leaders to label the latter as reactors. Despite this heightened importance on data, analytics and the anticipator role, HR is trailing behind. HR leadership reported feeling ill-prepared for operating in a “highly digital environment.” Compared with leaders in other roles, there was a 57 percent difference in HR leaders who reported feeling “very effective” to meet the digital demands of their workplace. 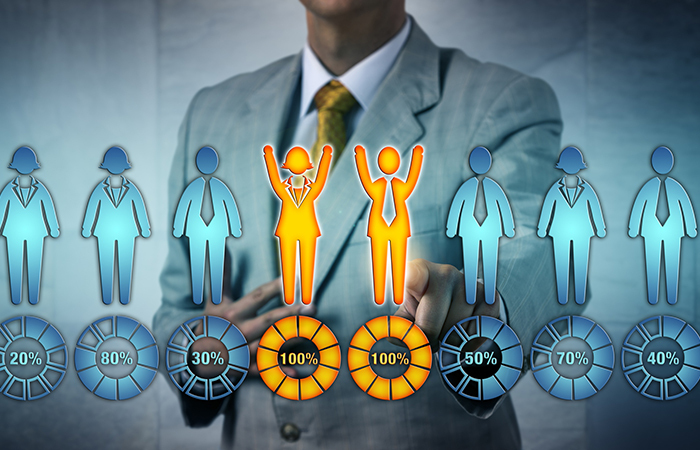 Though seventy percent of HR professionals reported that their analytics skills and data-driven decision making has increased, it isn’t keeping pace with digitization. Among the recommendations provided in the report, one jumps out—and though it seems simple, it can have a huge impact on an organization—education for HR. Because HR “owns” leadership development, they add, it’s up to them to prepare these business leaders for the digital transformation. Seeing as HR is lagging in this department, a focus needs to be on building their digital leadership skills so that they can effectively and efficiently develop others.